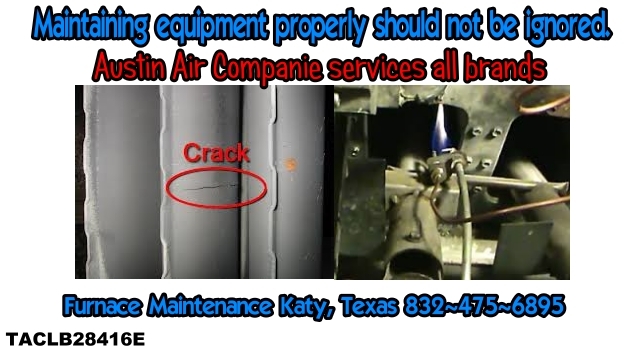 Katy, Texas isn’t really known for furnace repairs and home heating systems. In fact some years you may not give your furnace any thought at all. If you have a furnace that is blowing cold air, that isn’t too comfortable during days of the year where outside temperatures may not even reach the 50’s so it’s nice to know that you have a furnace repair specialist that you can count on. 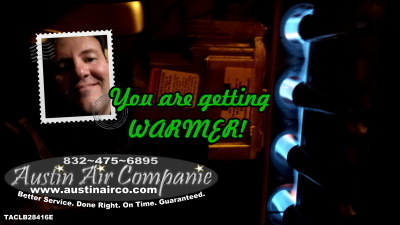 At Austin Air Companie, I repair all brands of furnaces. Obviously if your furnace is older than 20 years, then repairs are often times very limited. The brands of furnaces made over 20 years ago are considerably different from the modern furnaces of today. Problems with newer furnaces often confuse home owners thinking that something is wrong with the thermostat when often times this is not the case. Save yourself some time and possibly additional expenses to repair your furnace. Many times newer modern day furnaces merely need a tune up to start performing as they should. Hire a pro it’s the only way to go! If my HVAC furnace maintenance and repair service saves you time, that is not all it’s saving you. 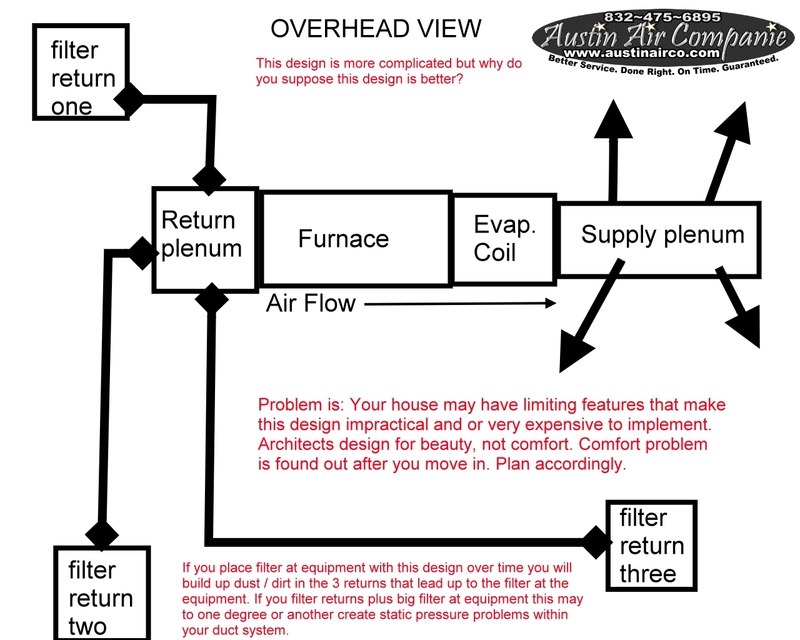 Austin Air Companie provides bi–annual maintenance programs to keep your HVAC system(s) operating in peak condition. I also repair all furnace brands. I can design a new duct system for you that will reduce dust in the home by capturing it in the filter(s). My preferred design while limited due to the architecture of your home, can increase the performance of you air conditioner, give you better temperature control and in turn make you more comfortable. *If my duct system design practices won’t work for your home due to architectural challenges I will design a system specific to your needs and or what goal it is you want to accomplish. Furnaces vary from very basic systems to more energy efficient systems. Many people don’t realize that the performance of their furnace and ducting system can have a dramatic and profound effect of how efficient their air conditioning system will perform. Your ducting system is just as important. Think of your own lungs. You can’t survive without the performance of your lungs. The same can be said of your HVAC duct system. The difference from one duct system from another is proper design. If the duct system is undersized, it will not perform as well as it would with properly sized duct system. The same can be said of a duct system that is oversized. If you decrease velocity of the air from the system longer duct runs will not receive nearly enough conditioned air to be functional. The above duct design picture is a design for my own home. When I design a duct system I have to accomodate the design to the structure in which it is intended. There are no two homes exacly alike in this regard. These designs are geared to increase efficiency of the HVAC system in your home. Common furnace repair problems are: ’Furnace will not light’, ’Furnace will not stay lit’, ’Furnace blows cold air’, ’Thermostat acts erratic while in heating mode’. 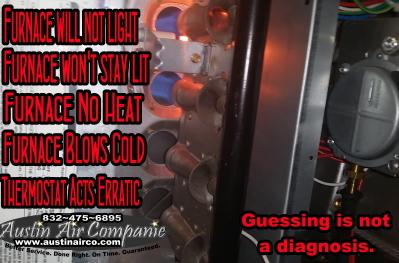 All of these problems more or less mimic the same thing when in fact the actual furnace repair needed can be quite different for each individual furnace problem that I stated above. The symptoms of your furnace are only clues as to what might be failing experience is required to be able to fix your furnace. These HVAC symptoms can only be diagnosed properly in person at your home. Remember, even newer equipment can fail. Just because your equipment is newer does not mean it can’t fail. You will always need a good HVAC repair man. Maybe it’s me? My name is Ray Austin. I am owner and operator of Austin Air Companie. I have 23 years experience in repairing gas furnaces of all makes and models. If you live in or near Katy, Texas you can call me at (832) 475–6895 to schedule your furnace repair service. 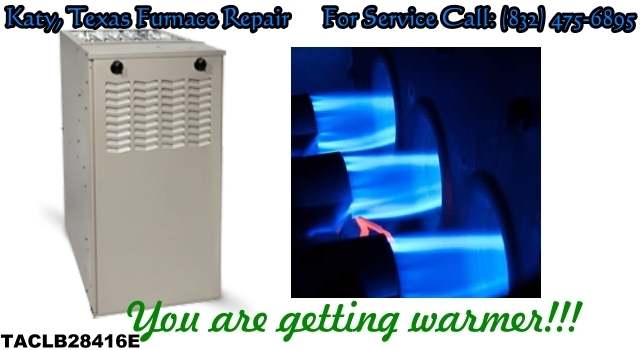 My ultimate goal is to provide you the best possible service, I repair furnaces that can be done so safely. Furnaces in Katy, Texas can last a long time. In many cases more than 20 years, with proper maintenance and repairs as they are needed. If your furnace is older than 20 years and you are considering replacing it consider a more efficient model. While you can go back with a less costlier option, this will limit how efficient your air conditioner will perform as well as how efficient of an air conditioner you can install. Remember your furnace works hand in hand with your air conditioner during the summer months of operation. Last but not least don’t forget your duct system as mentioned in the middle of this page. My name is Ray Austin, I am the owner and operator of Austin Air Companie. 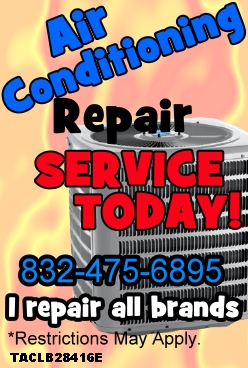 Call me directly at (832) 475–6895 to schedule your Furnace Repair Service. Thank you for considering me as your Home Comfort HVAC Service Provider.